Notes: The Mackenzie Castle of Genoa is a manor house located in the residential district of Castelletto, near Piazza Manin, and the Casella little train station, 100 meters above sea level.Registered as space for the culture on the occasion of Genoa European Capital of Culture 2004, in the autumn of 2006 it was one of the venues of the Festival of Science. The castle was initially conceived as a property with a tower, but successive interventions - solicited by the customer - have determined an expansion and change of the structure up to differently define the look. In 1956 it was declared a national monument, as an example of Coppedè style. Thirty years later, in 1986, the collector Wolfson (which the Wolfsonian Museum in Genova-Nervi is active) decided to buy it for allestirvi museum in its own collection of objects and works of art of the early twentieth century, but in 1995 the work restoration were suspended and limited to external parties only. In 2002 the castle was then acquired by the auction house Cambi which ordered the internal restructuring by architect Gianfranco Franchini. 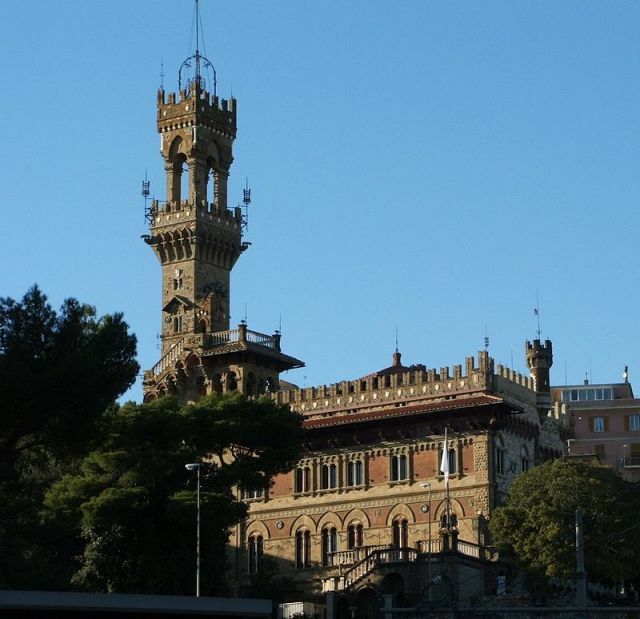 After completing the restoration work (2004), the manor was re-opened to the public at the Genoa European City of Culture.